Whether we are aware of it or not, we are rather visual creatures always seeking for beauty. It’s simply the way our brains are wired. Though we might not always agree with a uniform beauty standard, because after all there’s no arguing about tastes, we all have some notion of beauty that we follow. This is present in every aspect of life, from the clothes we buy, the books we read, the cars we drive, the homes we have and, of course, the food we eat. Unlike in the caveman days when food was raw and all that mattered was getting enough energy source, along with the food we also care about the way it looks and how it’s served. This is especially essential for people hosting parties at home and restaurants and diners that depend on the satisfaction of their customers. In this regard, the serving deserves as much attention as the preparation of the dishes. The presentation of food is what makes a serving tray important. No matter whether it’s a tray you need for your own kitchen or for your restaurant, you can easily find the one to match your requirements and taste since there are different kinds of trays available for sale. 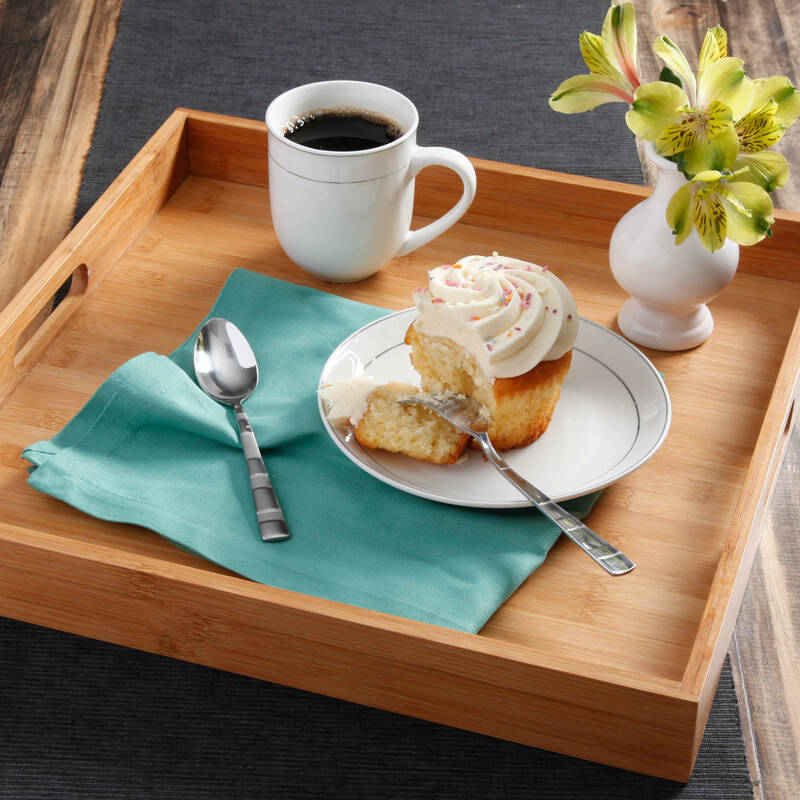 Depending on the occasion and the preferences, the choice of a serving tray can differ greatly so when you’re making the purchase make sure you take materials in consideration. When it comes to posh dinners at exclusive places, metal is the suitable choice, steel in particular because of its elegance. The plastic and wooden options are perfect for diners as they give a more homey feeling adequate for the dishes being served, so there are types of serving trays for every event. Materials are closely connected to the maintenance of a certain tray and the care you will have to give. Steel is easily cleaned and more durable, plastic is less durable but also easy to clean, whereas with wood the longevity depends on the finish it has. Other important aspects are the size and shape. To avoid having any serving accident, always have the space in mind, especially with narrow hallways. The same goes for the measuring the size of the table as well to prevent getting a serving tray that’s too big and doesn’t fit. A tray can come in the circular shape, rectangular, with or without handles and ornaments and it all depends on what the tray will be meant for. For instance, carrying glasses is much easier when done in a tray with handles. Have these things in mind when you’re on your quest for the ideal serving tray and make every dish special.